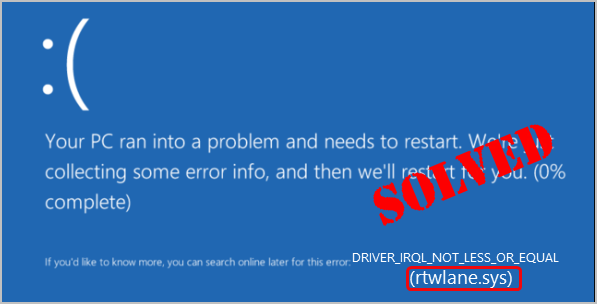 Are you getting the rtwlane.sys blue-screen error in Windows? There’s nothing scarier, in the Windows world! But don’t worry. You’re not alone, and (luckily) you’re not stuck with it forever. The rtwlane.sys error is quite common, but it’s also usually quite simple to fix. Usually you’ll see rtwlane.sys coming along with DRIVER_IRQL_NOT_LESS_OR_EQUAL like the image shown above. rtwlane.sys refers to the Realtek PCIE Wireless LAN PCI-E NIC driver. So when you’re seeing the Blue screen error saying rtwlane.sys, you need to update the Realtek wireless LAN card driver on your computer to fix the issue. 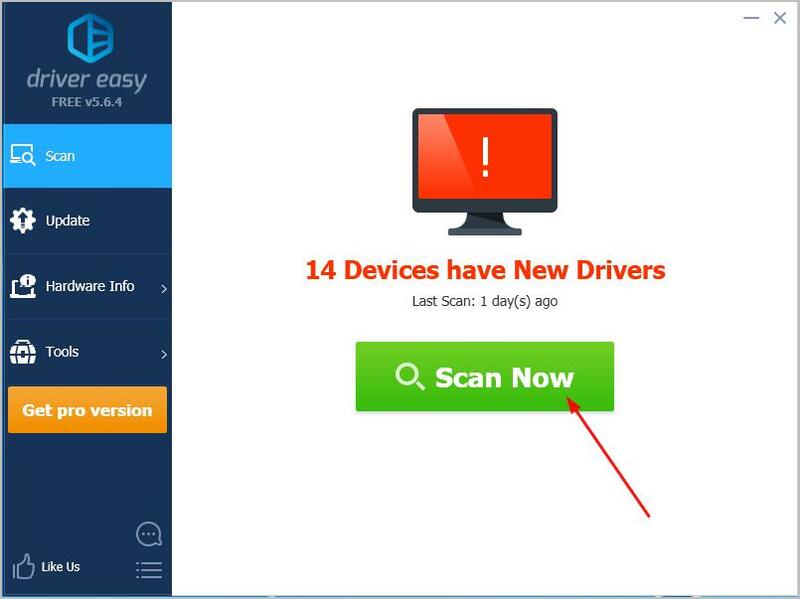 Important: To update the driver requires internet connection on your computer: If your computer is losing Internet connect due to the driver, you can connect your computer to a wired connection instead or, you can try the Offline Scan feature of Driver Easy to help you install the driver without Internet on your problem computer. Windows will detect and find the correct driver for your Realtek wireless LAN card. You can achieve the update through Device Manager. On your keyboard, hold down the Windows logo key, then press Pause. 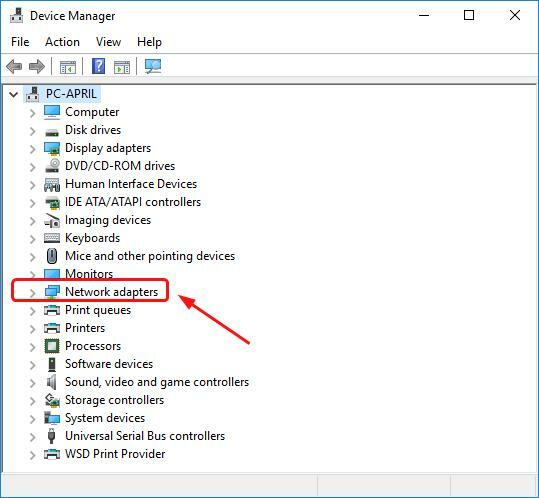 Right-click on your Realtek PCIE Wireless LAN PCI-E NIC driver to select Update driver. Windows should then detect any update for your device driver. Somehow, Windows might not find the update, and tells you that The best drivers for your device are already installed. 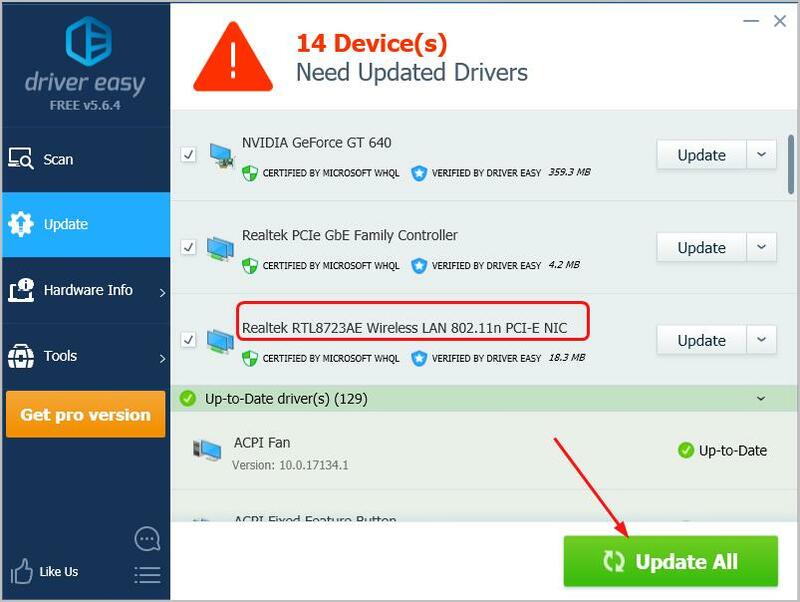 In this case, you should update the driver manually through downloading the latest driver from the official Realtek website. Alternatively, if you don’t have the time, patience or computer skills to update your Realtek PCIE Wireless LAN PCI-E NIC driver manually, you can do it automatically with Driver Easy. Move onto Fix 2 then. Did you successfully solve the rtwlane.sys blue screen error? Hopefully this post helps. Feel free to comment below with your own experiences.